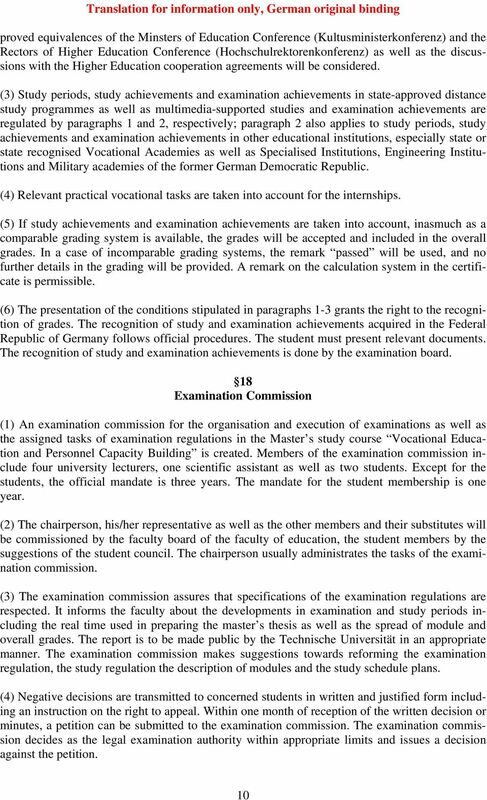 Download "Translation for information only, German original binding"
(4) The members of the examination committee are elected for two years, the student is elected for one year. As amended on 9/24/2008. -Non-official translation- Only the German regulations are legally binding. Note: In cases of dispute the original German text applies. 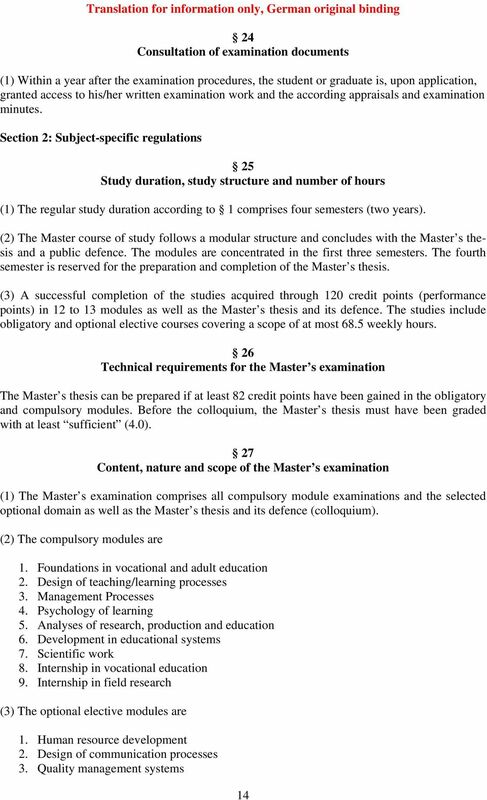 RSETHZ 324.1.0350.11 Programme Regulations 2008 of the Master s degree programme in Electrical Engineering und Information Technology Departement of Information Technology and Electrical Engineering 23. 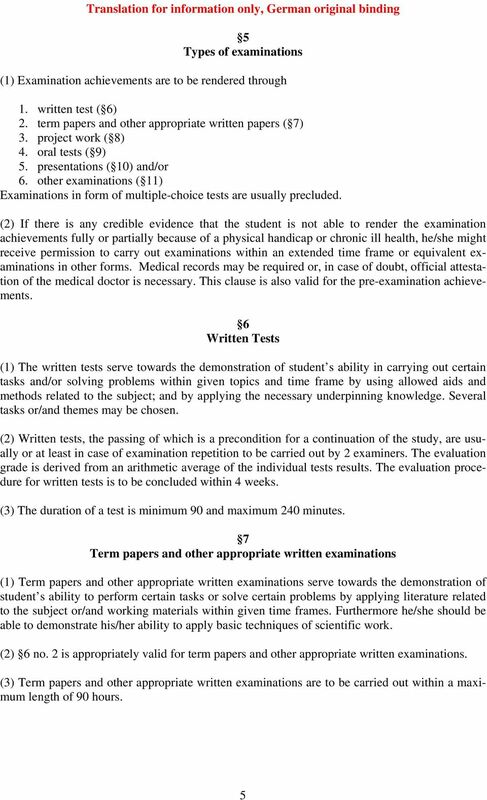 If the short term Faculty is used in the text, it always stands for Faculty of Mathematics, Natural Sciences and Technology. 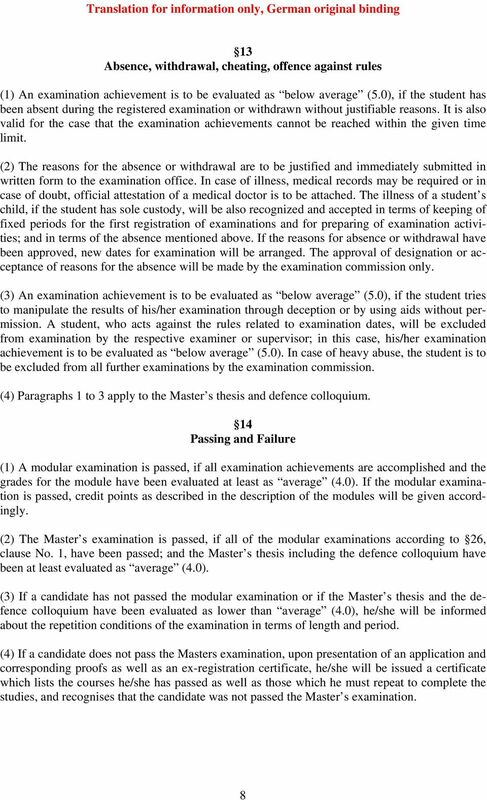 Unless more exactly defined, the rules of the superordinated RSL apply. 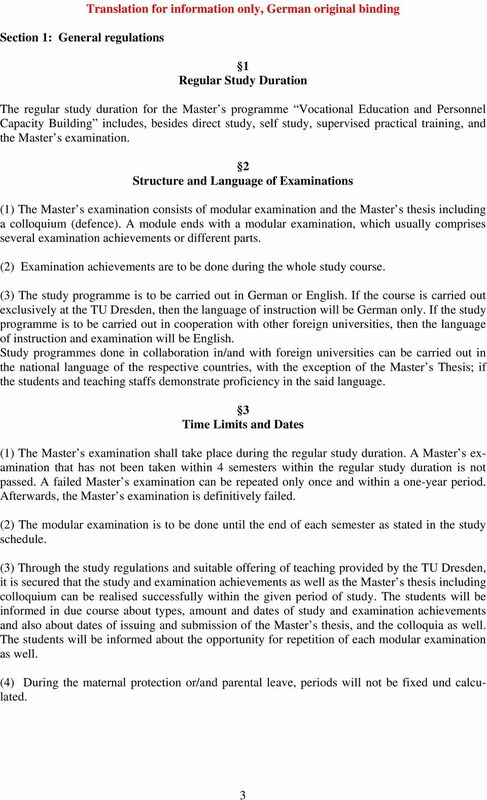 Internal Regulations for Examination and Assessment of the Erasmus Mundus Master Course Advanced Spectroscopy in Chemistry (ASC) leading to the degree Master of Science (M. Sc. 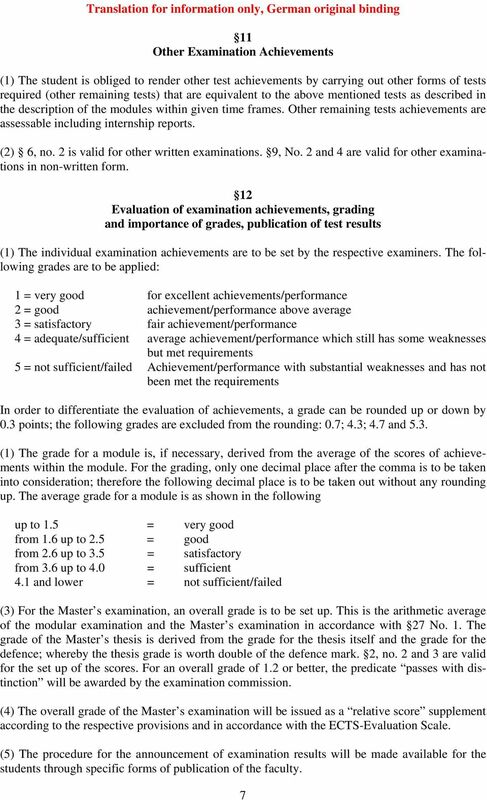 ), a Chemistry EuroMaster. This translation has no legal validity; it serves merely as an aid to understanding the German original. 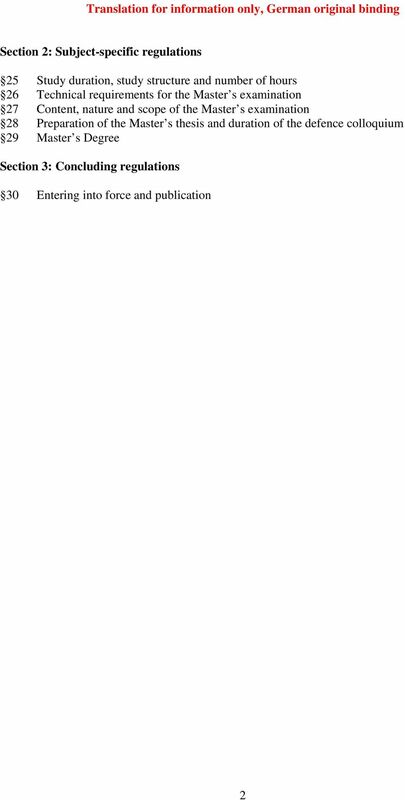 Only the regulations in German published in the State Bulletin (Staatsanzeiger) have legal validity. 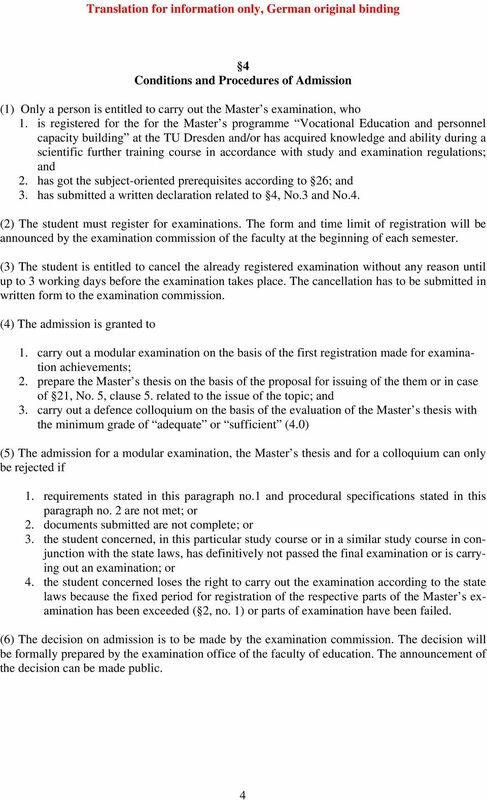 GIRNE AMERICAN UNIVERSITY INSTITUTE OF SOCIAL AND APPLIED SCIENCES REGULATIONS FOR GRADUATE STUDIES Aim and Scope Article 1. 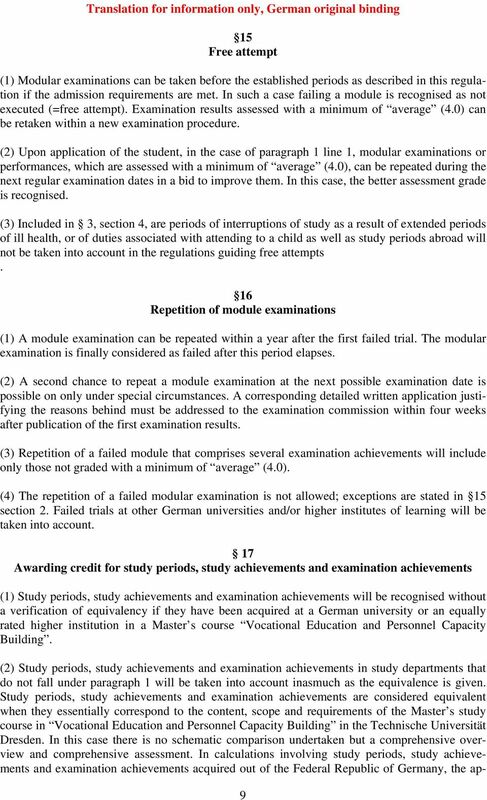 These regulations regulate the graduate studies at Girne American University. 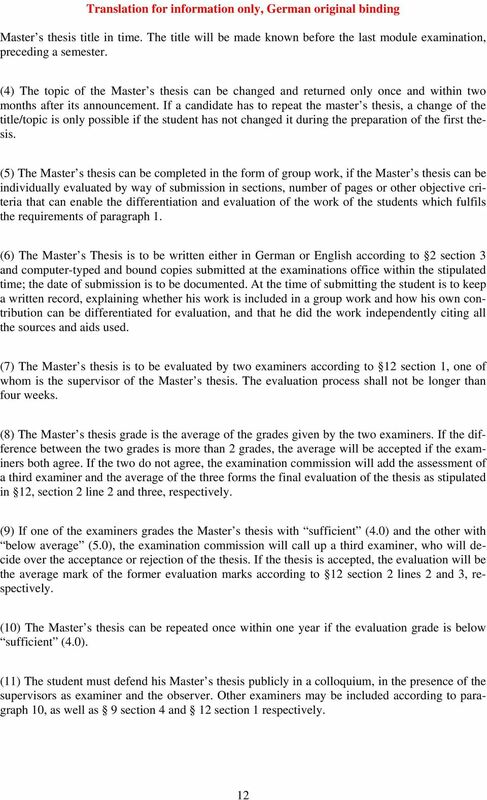 Regulations for the Extra-Curricular Course of Studies leading to the Doctorate Degree Dr. rer. pol. be held within the one year following those six years. 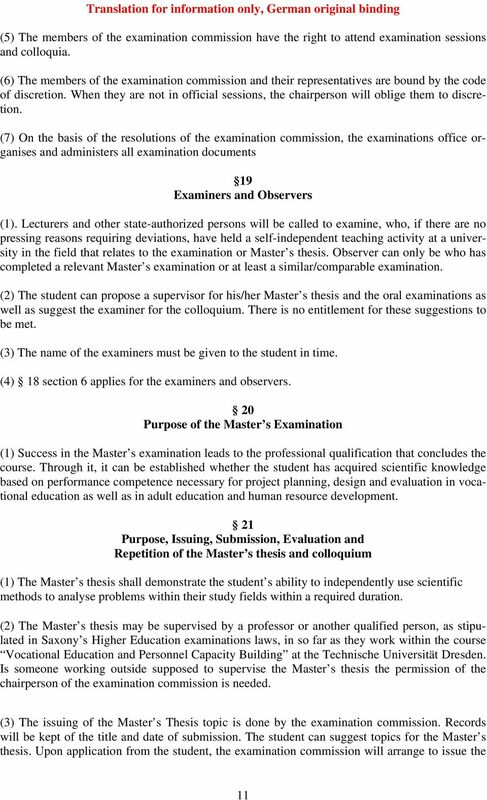 Regulations of the Doctoral Education Programme and Doctorate of the Institute of Philosophy. 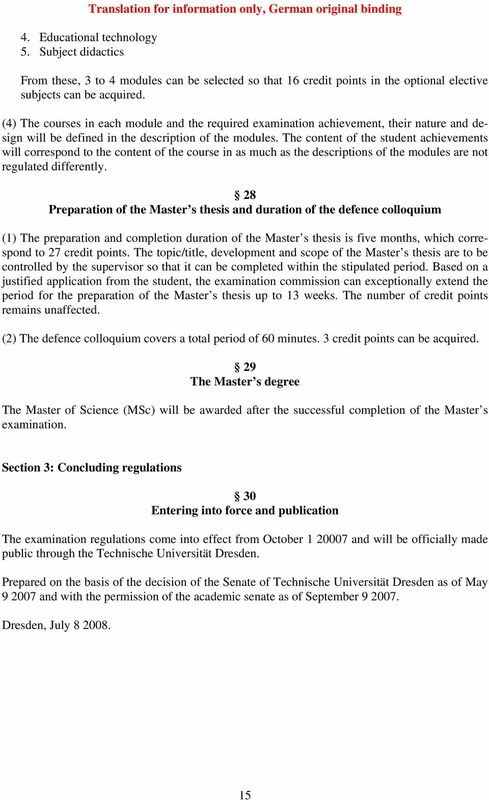 Approved by the Doctoral Commission of 12.12.2007. 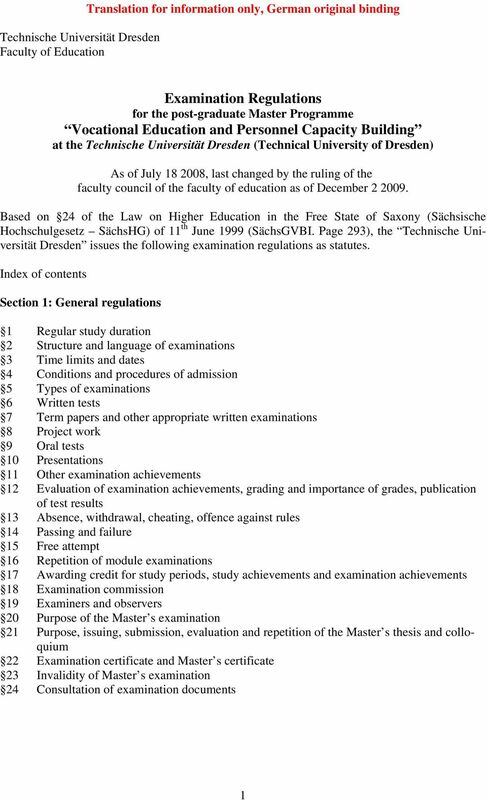 With amendments approved by the Faculty Council of 14.05.2008. 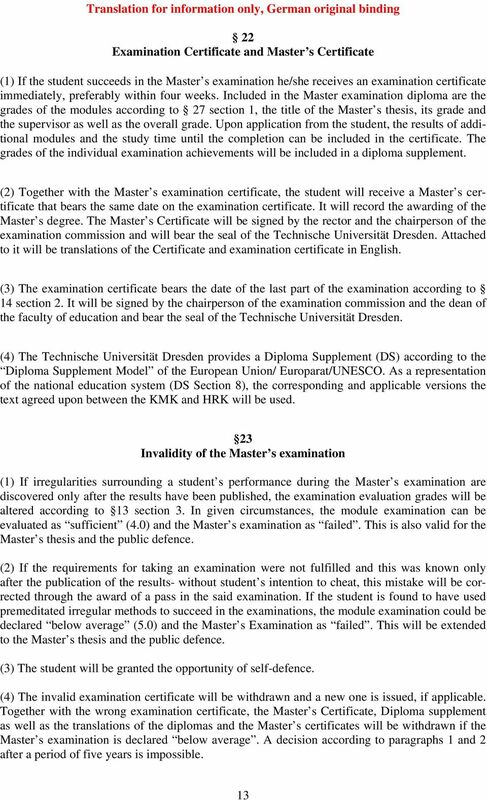 Examination Regulations of the University of Stuttgart for the Master s Program Computer Science As of August 01, 2013 According to 34 para. 1 No. 3 of the Landeshochschulgesetz from January 01, 2005 (GBl.